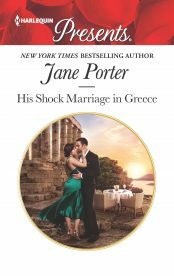 New York Times and USA Today bestselling author, Jane Porter holds an MA in Writing from the University of San Francisco and has written 50 novels since getting her first sale to Harlequin Presents in 2000. A six time RITA finalist, and RITA winner in July 2014 for Take Me, Cowboy, Jane is known for her passionate, powerful stories and relatable heroines. An advocate for writers, Jane founded Tule Publishing in 2013 to give romance and women’s fiction authors support and opportunities. Jane and Tule Publishing are both based in sunny San Clemente, CA. Jane has been featured in over 100 articles, interviews, television, or other such media since her first book was released. This photo is from her MORE MAGAZINE feature. Jane is a New York Times and USA Today Bestselling author with over 15 million books in print, in 20 languages and in 25 countries. Jane is a former English teacher, and holds an MA in Writing. Jane founded Tule Publishing in 2013 to provide creative and commercial opportunities to writers. Jane has been a RITA Award finalist six times in three different categories in 2002, 2003, 2008, 2010, 2014, and 2018. Jane won the RITA for Best Novella in 2014 for Take Me, Cowboy. 2018: Miracle on Chance Avenue, from Tule Publishing, earns Jane her 6th RITA nomination in the Short Contemporary Romance Category. 2016: Jane was prominently featured in Love Between the Covers, a documentary about the romance industry. 2015: Christmas at Copper Mountain has been optioned for a holiday cable movie by a Hollywood production company. 2014: Take Me, Cowboy, a Tule Publishing story, earns Jane her 5th RITA nomination, and wins the RITA for Best Novella. 2014: Christmas at Copper Mountain wins the Best Novella category for the Booksellers Best Award. Oct 2013: The Good Daughter, the second book in Jane's Brennan Sisters trilogy, won the 2013 Golden Leaf Award for Best Novel with Romantic Elements. Feb 2013: Jane founded Tule Publishing in San Clemente, to provide creative and commercial opportunities for today's contemporary romance writers. 2012: Not Fit for a King? nominated for a 2012 RT Award in the Best Series Romance: Harlequin Presents category. 2008: Mrs. Perfect and Odd Mom Out were optioned together by a Hollywood producer before Mrs. Perfect even hit shelves. Flirting With Forty aired as a Lifetime movie starring Heather Locklear in December, drawing in over four million viewers, making it one of Lifetime Television's four most-watched movies of 2008. 2007: Odd Mom Out dazzled dozens of critics, from Kirkus Review to the Seattle Times. It was featured in numerous publications and was the September Chick Lit Top Pick at The Daily Buzz. 2006: Flirting With Forty danced in the top 60 of Barnes & Noble's Bestseller list, peaking at #45 in July. In September Flirting With Forty had already gone back for its seventh reprinting. It was optioned by Sony and won Best Contemporary Novel of 2006 by Romance Reviews Today. 2004: in November, Jane spent two weeks at #2 on the Waldenbooks list for The Italian's Virgin Princess. 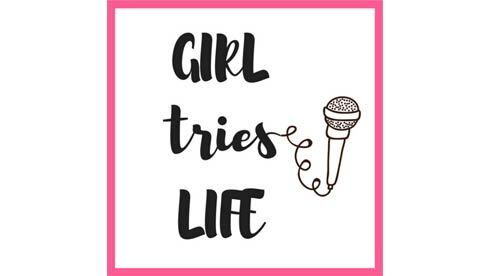 In this podcast, Jane talks about what it took for her to get published, how she refused to give up, how creatives have to push through challenging periods in their lives and so much more. In an interview for Romance Writers of American's Industry Magazine, RWR e-notes, Jane spoke about her view of publishing from her unique perspectives of both writer and the founder of Tule Publishing. Jane was featured in The Modern Honolulu magazine. Check it out for some insight into how the perfect Hawaiian inspiration for a story became so much more. Jane was interviewed on ShelfPleasure about her novel The Good Wife, book three of the Brennan Sisters trilogy. In a piece entitled "Reading, I am free. Thanks, Grandma" on USA Today, Jane explains why happily-ever-after is the right kind of ending to a story for her. A Musing Reviews interviewed Jane about her newest release, The Good Woman. Check it out to learn more about the book and the next books in the series! SheKnows featured The Good Woman, the first novel in Jane's Brennan Sisters trilogy. Jane was interviewed by Kelly O'Connor McNees, author of In Need of a Good Wife. Read the whole interview—including some words to live by from Jane—on Kelly's blog. The Write Teacher interviewed Jane as part of their Summer Author Interview Series. Read what Jane has to say about fairy tales, being a single mom, and The Good Woman here. Rachel Belle of Ring My Belle interviewed Jane as a spotlight on summer romance reading. Check out the online interview on MyNothrwest.com! Jane is featured in the July 2008 issue of MORE Magazine, where she shares about her "First after 40" and dishes about both the Flirting With Forty book and movie. Jane is now listed as one of the "notable alumni" of UCLA. Read the article on the UCLA Alumni Association site. Jane's in the spotlight on the Mommy Track'd website. Check out this interview where Janes shares about life as a successful novelist and mother.